Copper high quality statue with 'cold' gold painted face and decorated with coral and turqoise coloured stones. 12 inches high. 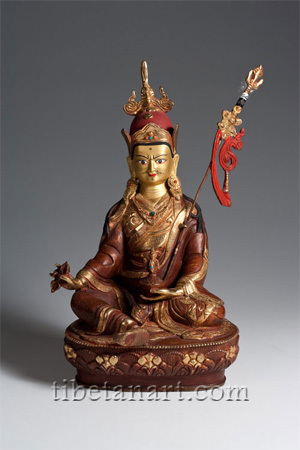 Padmasambhava, or Guru Rinpoche, is revered as a great Indian tantric master who brought Buddhism to Tibet.